Hi there, SungKyu here! Today I am back again to share my journey on this new project that I am doing, which is to try and answer the question "How can we use science and engineering to enact change in the world?" For this unit of using science to make a change in this world, I thought extremely deep about what I can do. It took me a very long time (3 lessons) to actually find a topic that I could be both curious about whilst do a fairly good job on "creating" something. First I thought of creating ergonomic furnitures to solve problems we get like bad eye sight and neck curvature, but I felt like that was already solved in many creative ways by people. Then I thought of my geography lesson, where my unit happened to be about tsunamis! By looking at a case study of Tohoku tsunami, I was able to find out that one that hit in 2011 had 35000+ in death and around $360 billion in financial loss. That was absolutely shocking! By looking at this I thought of creating an invention, that could stop the tsunami from even coming to the mainland. Just a quick side note, I decided to change my question from "Wakandan Protection" to "wall" because if I want to talk about the Wakandan Protection it would make more sense to just talk about the energy part of physics since it is an energy wall, and that I am adding different physics elements other than energy. As it is explained clearly in my documentary(link is at the end of this blog), I won't go too much into the specifics, but here are general things that I found. Freezing the water would not be as easy as evaporating the water, as freezing means the freezing device has to make waste heat energy go out somewhere, which can eventually heat the water again. Making a tunnel would not work since it can produce sink holes. During this project, I gotta admit there were so many bumps and scratches and hard times that I would not forget. As said on my previous blog, getting a sound topic and know what to research was really hard. What else was really challenging, was that I could not manage my time sometimes, and had to end up writing my blog at 12am like right now! (Sorry Mr.Bunting). But usually I was able to follow my calendar, and did a pretty good job of managing time. I don’t think I had much weaknesses, I think everything went well as planned fortunately. Without further ado, here is my documentary/video. Enjoy! Osborne, Hannah. “Japan 2011 Tsunami Could Happen Again.” International Business Times UK, Blizzard Entertainment, 26 May 2015, www.ibtimes.co.uk/what-caused-2011-japan-earthquake-tsunami-similar-528027. Posted in Uncategorized on May 22, 2018 by Sungkyu. As you can see from the title of this blog, I changed my question, to "to what extent can a Wakandan Protection be used in preventing tsunamis and mitigating its effect on a country?" I decided to change my topic as my former topic was already solved in lots of different ways, such as an laptop-elevating case for your posture and modern laptop screens that does not make your eyes hurt as much as it would not bother you. Not only that, I thought this new topic intrigued me more than the last topic. My recent geography topic was about tsunamis, and from that I could see that they have been a big problem for centuries, with big financial losses and death rates. One that I was most intrigued about was Japan's Tohoku tsunami with 9.0 magnitude in 2011, which had 15000+ deaths and total financial damage of US$360 billion. By thinking about this tsunami, I thought "wow, I might use my physics knowledge to come up with a solution, to fix this problem!". And I don't know it was a destiny, but I happened to watch Avengers on the same day, and thought "Can I try to solve this problem with the cool Vibranium wall in Wakanda?" Don't confuse everybody, I am not going to try and actually use Vibranium to stop tsunamis, but I will use the concept of a protective wall entailed by different physics components (which I will create) that can work as a barrier to stop tsunami from even coming to the land. So first I came up with roughly 4 ideas for this, with 3 being pretty plausible and the other 1 quite tough to implement. Let's start with the plausible ones first. My two ideas are: using long, strong barriers (made with tough materials like Vibranium, probably concrete) around the coast to stop the water from even getting into the land, and using some sort of a device that can generate lots of heat energy which can at the end evaporate all the sea water. First my "barrier" idea was to stop the water from getting in to the country by adding a barrier blocking system. Assuming the barrier is extremely sturdy, it should be able to block the water due to the idea of torque; the barrier as you can see is connected to a little tunnel, which brings ocean water into the land to push the barrier in the opposite direction of the tsunami. If we build the tunnel and the barrier deep enough, the greater force of torque against the tsunami should block the tsunami from entering the country. Or maybe not. And that is why I added my second element, which was to stop the water from coming in through mean of vaporizing the water. This means even if the barrier is not perfect, it should buy some time for a device (which I do not know yet) to put thermal energy into the water so it vaporizes. I understand vaporizing the water will require TONS AND TONS of energy - in fact I calculated that we need around 6.294492e18 Joules - but I heard this can be possible with future technology of nuclear fusion. Because I am not sure of this thing yet, I will share more information next time. My last idea was to freeze the water so we can maximize the density and the viscosity of the water, but I haven't came up with researches or studies on why it will or will not work, so I will try and update you on that next time :D.
Now let's move on to the implausible one. My ideas was to make a tunnel below our land so that the tsunami can go below the tunnel and thus it won't have much effect on us (if you don't get this, see the picture below). I know the sink hole will probably not work for two reasons. First of all creating a tunnel that big so a bulk of the ocean can fit in is not a question regarding energy, but a question regarding manpower. I believe this will just take so long to actually dig out everything. If you think this reason was a point, I agree, and that is why I will bring you the second point. It is due to sink holes. In a nutshell, National Geographic states that sink holes are when the soil layer collapses downward due to underground chasm. The chasm in this case is the tunnel that we are creating, which will not only make it likely for deadly sink holes (as the soil layer may even collapse until the bottom of the tunnel), countries will not be able to create tall towers as they need strong foundation from deep underground. There were many challenges throughout this project already. Right off the bat I had SO MUCH TROUBLE getting a question, that I am both intrigued about and can answer with research and my own physics knowledge. I think this problem is kind of solved now. My other problem was that while I knew my question was a fairly good one, I encountered situations at times where I just do not know what to research next! This became such a big problem for me, because not knowing what to do means I can't even work hard even if I want to. Right now I know I will have to search more of nuclear fusion stuffs and why freezing the water might be plausible or not plausible but hopefully I can come up with more stuffs to research and talk about later on. Stay tuned for that too. I made minor changes to my timeline, as due dates of some blog post has changed. I have achieved everything till this date so far. Anyways that's it for today, and I will try and unravel more of my physics journey next week! Thanks for reading, see ya! “'Avengers: Infinity War' Trailer Breakdown: Perfectly Balanced, As All Things Should Be.” /Film, 16 Mar. 2018, www.slashfilm.com/avengers-infinity-war-trailer-breakdown/3/. “Find Out What's Creating These Mysterious Holes.” National Geographic, 15 Sept. 2017, www.nationalgeographic.com/environment/sinkhole/. Kiosea39. 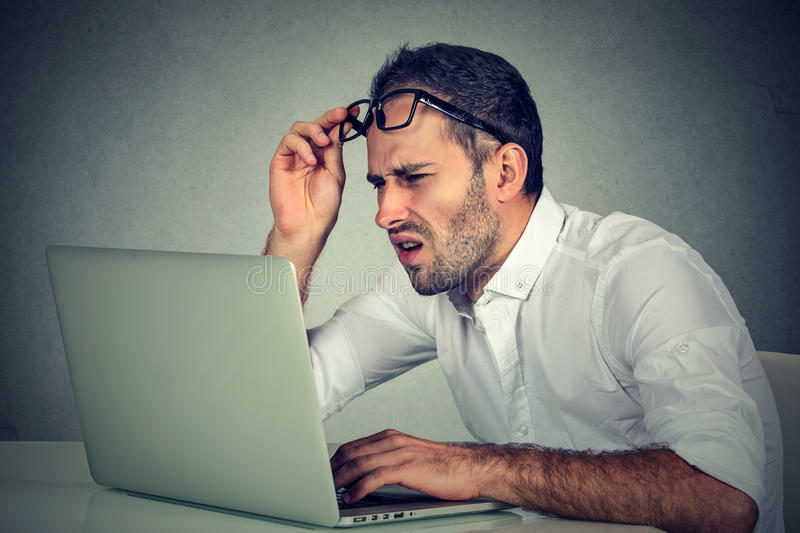 “Man With Glasses Having Eyesight Problems Confused With Laptop Software Stock Image - Image of Confused, Laptop: 81208801.” Dreamstime, www.dreamstime.com/stock-photo-man-glasses-having-eyesight-problems-confused-laptop-software-closeup-portrait-business-gray-background-vision-image81208801. Posted in Uncategorized on May 10, 2018 by Sungkyu. Hi there, SungKyu here! Long time no see, today I am back here to exhibit my journey on a new physics project, which is also the last physics project for this course. Quite sad right? Anyways let me explain to you the details. "How can we use science and engineering to enact change in the world?" Not going to lie, choosing a topic/question for this project was THE HARDEST THING IN THE WORLD for me. For around 3 days, after thinking and thinking, I was astonished that I was still not able to find a question that really appealed to me. Thus, I decided to write a temporary question for now, and if I change later I will tell you. It is still appealing to me, it is just that it is still not a perfect question to research and get a creative idea on. Anyways my question is: "To what extent can we use mechanics to help us solve problems we encounter when using our laptop?" To me, this question was quite appealing in the sense that I absolutely love technologies, and I spend hours and hours everyday on it. What I (and probably other people as well) don't notice is that laptops specifically can do lots of harms to us. See the attached picture below. As you can see, by using our laptops we can have things like kyphosis (bent neck) and bad eye sights, which can be really harmful for us in the future. Now knowing that I can be the victim of this as well, I thought it would be really nice if I could use my mechanics knowledge to try and solve this problem. Just on the side note, if I do feel like changing my topic I will let you guys know as well as soon as possible! After my question was finally formulated, I thought about two ways in which I thought I could thoroughly answer the question in. The final two ways were as shown below. While video was my of-all-time favorite way of presenting something, I decided podcasts were a very effective way of presenting new ideas as well, after listening to a physics podcast from my fellow classmate Yongwan. I decided to compare the difference between the two, pros and cons, and later decided that - sorry to the podcasts - videos will be my final product by the end of this project. After contemplating each ways' key pros, because this is a project that requires new idea and I might possibly create an invention at the end, it will be really hard to describe my inventions and new ideas in just words. For this time, I would like to follow the quote "a picture is better than thousand words." Later when actually making the video after researching is done, I might have to draw pictures and do a voice over, but I will keep you updated on that later. Finally, to make sure I don't fail this project and do good on it, I created a timeline to make sure I work consistently with low stress. As you see from the attached picture above, I already have all the things planned in advance with comments (tips), thus I don't think I should have any difficult times trying to finish my work. However, I am always willing to change my timeline slightly since I might have more time on some days than the other. I will tell you if I do modify my timeline. Wooh, that was a lot of information in one post! Thank you for reading my blog, and stay tuned for the next chapter of my journey! “Kyphosis.” Whole Body Health, www.wholebodyhealth.org/the-clinic/common-conditions/physical-pain/kyphosis/. Posted in Uncategorized on April 27, 2018 by Sungkyu. Hi everyone, SungKyu back again. It has been about a week and a half since I started doing this physics project, and I have learnt so much from it. My ultimate goal to this project at the end was to create a documentary, that answers the question: How Does Social Media Contribute to Climate Change? This question was my approach to the final question of the unit, which was: How can we ensure future generations have a sustainable place to live? To me, this was very important because I had quite a lot of interest in knowing about climate change and also a lot of interest in social media. I will be honest with you, I am a social media addict. I usually can't stop my temptation to see my Facebook and Messenger! As you see from the chart above by Statista and Business Insider, it was just not me who fell absolutely in love with social media. It has been very popular since the last decade, growing to about total of 8 Billion Users. That's more than the world population. However, though I use social media a lot, I never actually had any knowledge on what happens when I post, send or share something in these social medias. This was why I wanted to research the connection between climate change and social media, because I was sure that there should be some links between them (at least powering my electronics create carbon dioxide and heat and that's climate change,). And through research, I found out that social media in fact contributes A LOT to climate change. You can find the detailed version of what I found in blog 2 down below this post, but here is the summary. Simply, the Earth's temperature has been fluctuating for a long time, as you can see from the graph below by NASA. But now that has changed, and the Earth's temperature is rapidly growing, far from fluctuation. According to BBC due to rapid rise in temperature, the planet's climate also changes. Due to things like ice melting and sea level expansion some countries with low lying land will have difficulty of things like flooding, while some countries will not be able to no longer grow crops which can only be cultivated at a certain temperature. While greenhouse effect is needed to make sure our planet is not getting too cold, we shouldn’t have too much greenhouse gases either which will cause the planet to be too cold. As you see in the first chart of this post, there are about 7.9 billion users for social media. For how we get electricity, I decided to use my poster that I made in prior to this unit, which is shown down below. In the world, there are around 40 internet exchange points that form a big network around the globe. They are all connected through things like optic wires which lay under the sea. Moreover, these 40 big exchange points are each connected to smaller data centers, for example Facebook’s data center. Simply, when you use a computer to go to Facebook for example, you are going to Facebook’s data center through the exchange points to request Facebook to show your posts, your recent messages and so on. After approval Facebook’s data center will send information back to you through the exchange point and to your computer in parcels. Because information tend to be big, things are transferred in small packets of information for efficiency. However, when the data centers calculate how these packets will be transferred to your house and show the information perfectly, it needs energy to do that, which ultimately creates thermal energy and carbon dioxide as well. Lastly, I found how much carbon emission each social media takes. According to Facebook's sustainability site, each Facebook users emit 299 grams of carbon dioxide. With this way I calculated the carbon emission for all of the top 10 social medias, which added up to around 6 billion tons of carbon emission. In here my research is shown very vaguely, but my documentary explains it more clearly with more visual aids with details. Throughout this project, I have faced several challenges. If you see my timetable below, I had planned to do an interview with an expert at climate change. However finding an expert and getting an appointment with him/her was very difficult to do in such a short period of time. In addition, as I could find most of the information in the internet if not Mr.Bunting (my physics teacher), so having an interviewer was not really needed. My other challenge was that I had to find sources that are creative commons and that they had to be cited in the video. Finding suitable images and videos that were creative commons was really hard, and the fact that we had to cite them made everything take ages. Other than that, I haven't faced too much problems. Overall I think my strength was the fact that I could stick to my plan all the time. I was able to sort of stop my urge to go to social media, and complete my given work in a certain time. In addition as you will see in the video below, I think my pictures and videos do help the audience to understand everything clearly. I think that my choice of making a documentary was really effective, as that way the information could be conveyed easily to anyone with the use of visual aids. Other than the challenges that I have addressed earlier, I don't think I had any weaknesses throughout the project. Now I had enough writing and you guys should be bored by now. Rather than writing, I will show things. Ladies and gentlemen, here is my final documentary. Posted in Uncategorized on December 10, 2017 by Sungkyu. Hi there, SungKyu here! About a week ago, I have explained to you about the exciting physics project that I will be doing for the next few weeks. Until now I was able to meet my timeline as well, which was generally on researching about my topic. I managed to work meet the deadlines by consistently doing some research everyday, which all added up to big piles of useful information. For the next few days I will start planning my documentary by doing the voice over script and various medias. What is the average usage time for each social media? How can we get electricity to power electronics up? Firstly, to research about social media and climate change, I thought it would be very important for me to know exactly what climate change is. Throughout the Earth’s history, the planet’s climate has been constantly changing. The overall temperature of the planet was sometimes higher than the average temperature of the Earth for 800,000 years, while sometimes the temperature was lower. However, what we see right now is that the temperature of the Earth is going up extremely rapidly and it doesn’t look to be a fluctuation. According to these pictures from NASA below, even by the color you can tell how hot the Earth has gotten in just 135 or so years (1884 to 2016). Anyways back to the topic. To understand climate change we have to understand what greenhouse effect is. Greenhouse effect is the process of greenhouse gases trapping Earth’s heat, which was originally acquired by the sun. According to EPA, carbon dioxide accounts for more than 60% of the greenhouse gases. As we use cars, mopeds, or electricity, more carbon dioxide is created through burning fuels. Hence, this means that there will be more greenhouse gases, which will trap more heat. As this positive feedback loop continues there will be more and more heat in the Earth, increasing the temperature of the Earth massively. Because of this change in temperature, the planet’s climate also changes. Due to things like ice melting and sea level expansion some countries with low lying land will have difficulty of things like flooding, while some countries will not be able to no longer grow crops which can only be cultivated at a certain temperature. Since my topic is about social media, I decided to research how many people actually uses social media. If you remember, I showed you a chart with top 10 social medias with greatest number of users (such as Facebook, Whatsapp, Messenger and more). After that, what I found was that not all users are active! For example Facebook has 2.006 Billion users according to Statista, but monthly active user is only 1.368 billion users. Hence, I used Statista to find the number of monthly active users of the top 10 social medias, which was: Facebook 1.368 Billion, Whatsapp 1.3 Billion, Messenger 1.2 Billion, WeChat 963 Million, Instagram 500 million, Twitter 330 million, Snapchat 178 Million, VKontakte 80 Million, QZone 632 million according to Chinainternetwatch.com, Weibo 376 million according to chozan.co, Pinterest 200million according to Pinterest. According to Socialmediatoday.com and telegraph uk.com, average daily social media usage time is 105 minutes in 5 of the social medias. Using these information I found that there are 7.127 billion social media users, and number of minutes people are spending in social medias = 7.127/5*105=149.667 billion minutes everyday. Though I believe that my calculations were logical, I will check on it again because my data that average daily social media usage time is 105 minutes per 5 social medias is acquired from just one source. How do we get electricity to power our electronics? Internet is a network made up of millions of computers all over the world which are connected through cable, wire or wireless links. A server is when a computer is directly connected to the internet, which its hard drive has webpages like facebook.com or youtube.com is in them. Let’s say I want to see a picture posted in Facebook. My computer, a client that connects to the internet by a internet service provider, connects with facebook.com to request for the picture. After Facebook datastation has received your request, if ok, they will send you the image back to you. Because pictures can usually be big to send everything to my computer at once, the file is broken down to small pieces called packets. Once all the packets reach my computer, they will reform themselves to create the picture. I am not sure about this information yet, so I will check on this next time. Thank you for reading my blog my friend! I will come up with more news next time about how my documentary went! You will be able to find my documentary there as well. Thus stay tuned, and see you next time! Posted in Uncategorized on December 5, 2017 by Sungkyu. Hi there, SungKyu here! Recently, we started a new project in physics, in attempt to answer the question: How can we ensure future generations have a sustainable place to live? My approach to this question was quite unique; I tried to connect my interest with global warming to solve this question. I thought and realised yesterday night. Though I had to study for my English commentary, I was procrastinating by talking to friends, watching funny posts in Facebook and Snapchat! As you can see from this graph above from Statista and Business Insider, there are TONS of people who use social medias. There are about 8 billion social media accounts in the world. Sometimes, I see that people use these social medias to raise awareness of some problem sometimes. For example, I see at least 2 posts about global warming in my Facebook newsfeed everyday. However, how would you feel if posting things into social medias to raise awareness of global warming in fact causes more global warming in the world? That is the question that I want to find out through this project. Because I am a social media addict (though I shouldn't be) but also a global warming activist (I hope and hopefully I am) Through this project I should learn be able to learn how my time in social medias affect global warming. I am thinking of creating a short (4~8 minutes) documentary on my question. I think that the best way to explain something would be to make it into a video (as it has both visuals and audio) and so documentary would be most suitable. I am also thinking of incorporating an interview into my talk to add more interest and credit. And last, here is my timeline to be able to achieve everything in time. Posted in Uncategorized on November 30, 2017 by Sungkyu. This is one of the panels in my comic. I illustrated this panel when the main character was getting attacked by the unknown kidnapper, who is about to kill him. Firstly, instead of actually drawing the kidnapper's face I drew the silhouette of that person. I did this because use of silhouette implies being unknown to public, and its black color can connote death, and devil. Because all those qualities are contained by a typical kidnapper, so that's why I used it. Due to the similar reason, I used low key. I had quite a few challenges that I had to accomplish. One of them was my ability to draw. As I was not able to have the same innate/acquired artistic skills as other people, I think that was why I wasn't able to draw my comic which had a same quality as others. I think this unit was really fun and different to other units that we had; drawing in lieu of writing essays were really unique, though I don't want to do this unit again. Posted in B - Explorative Writing on June 2, 2017 by Sungkyu. In day 44 we created our last ecodome that we would use for the grade 8 ecodome competition. A different green plant - This is because from our last ecodome we got a conclusion that they don't eat the green plants we originally put. So, we changed it with another green plant just hoping that the grasshopper would eat them. Marbles - decoration for the ecodome. We put about 8 of them around the eco-dome. To find the specific amount of the components that we are adding, please see the section above this. Posted in E- Science 8, Grade 8. Tags: ecodome on December 14, 2016 by Sungkyu. My Debate Statement: The telephone has revolutionize human life in a more significant way than the invention of the refrigerator. Throughout all the preparation and the actual debate, I have learnt quite a lot of things that I would love to share. Firstly, I now knew that we can persuade in more variety of ways. For example, we can have counterclaims to anticipate and answer the opponent’s refutal, and cite my sources to add credibility. Secondly, I knew that even if I don’t know much about what I need to persuade, I can still persuade with just confidence and the urge to doing it. Thus I realised the meaning of credibility - we aren’t proving that our side is correct, we are persuading and making them to think that our side is correct. For me, all my credibility came from my research and preparation. I went and found my informations on only reliable sources. This sources include the sites containing “edu”, “org”, and other popular and common sites that is used by many people. This was due to the fact that “edu” and “org” sites were purely for learning without and profit, whereas other websites may exploit themselves by saying things that are biased, or that are false. To actually prove my credibility, I mostly did it throughout my speech. When I want to cite a source, I usually started by saying “according to ….” so that my opponents know that my sources are reliable and not from just a random site. I was so surprised that I proceeded myself all the way through the debate, from the preparation to the victory of the debate. This really surprised me as this debate was the first ever debate that I had, hence had no experience in doing this. Although I was really worrying about the questions that my opponents are going to ask me, I was very happy that I was able to improvise and counter my opponent. I was really proud that I talked through my speech fluently, without many stammering and hesitating. I also think I was very confident in the way that I have talked to my opponents. If I was to do this again, I would really like to work more on my research. This was due to the fact that I didn’t answer clearly when my opponent asked questions to attack us. If I had more research, I think I could have more easily answer the opponent’s question and counterclaim them. Furthermore I think I wouldn’t have stammered much if I had more research, because if I had more research I would have been more confident about what I am saying, and would also know about what I am talking about. I think it was a memorable experience, the debate, and would like to do it again and improve what I didn’t do so well in this debate. Posted in F- SS 8, Grade 8 on December 12, 2016 by Sungkyu. In day 16 we opened our eco-dome, since we could no longer see any grasshoppers still living. Some plants were still fresh, their leaves still green. On the leaves of a plant had white, and black things on top. One plant had mold on their leaves. The grasshoppers showed yellow in terms of body color. 1 of the grasshoppers had their head cut. The plants didn't look to increase in size. We could see water condensation happening at the side of the ecodome. From Tracy's ecodome we knew that using petri dish to give supply of water wasn't very good. They had their grasshopper drowning and it was covered in water. We knew that molds can be formed in plants due to various reasons. We think the reason why mold was formed on ours was because we put too much water at first. Posted in E- Science 8, Grade 8. Tags: ecodome on December 5, 2016 by Sungkyu.